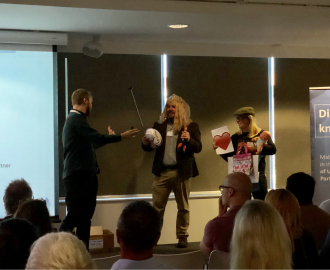 On Thursday 6th September, Google and Mabo joined forces to bring thriving businesses across the North East, The Great Google Conference Of The North. This was our biggest event to date and what a success it was. Our doors opened at the Northern Design Centre in Gateshead to welcome 50+ ambitious business men and women looking to grow their business using Google Ads. Over the course of the morning we heard from a fantastic line-up of guest speakers. …say hello to Rob’s glamorous assistants, Brittany and Alf. Thanks guys! 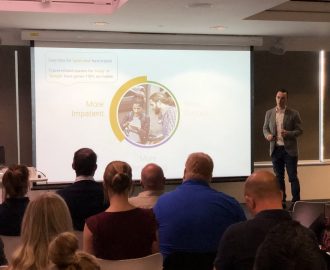 Moving on we heard from Mabo’s very talented Senior PPC Trainer, Matthew Soakell, who shared with guests the best tips and tricks on how to effectively measure and optimise the performance of your Google Ads. To keep guests on their toes our PPC expert even threw in a little bit of Latin! It was then time for our Keynote Speaker, Google Agency Development Manager, Simon Balfe. Here, Simon delved into the future of search and Google Ads, sharing what we can expect and how we can use Google Ads to capitalise on emerging trends. As the event drew to a close we brought things together with The Great Google Quiz Of The North. Our guests were quizzed on the content of the previous speakers. Well done to Jenny Spires for scoring 10/10 and winning herself a Google Home Mini! 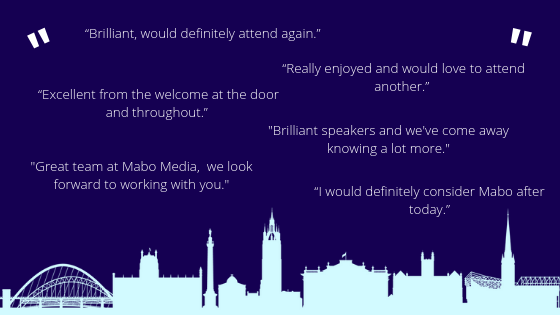 Thank you to all who took part and played a game of Mabo’s “Play Your Cost-Per-Click Right”. 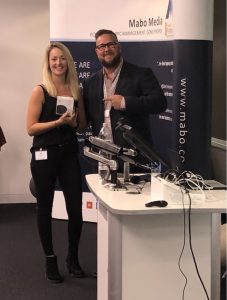 Well done to those who scored 10/10, however, there could only be one winner, so a huge congratulations to Sian Maxwell who has won our award-winning PPC Management Service for FREE for 3 months! The success of this event has ignited our hunger to host bigger and better events up and down the UK. We will be announcing the dates of our future events towards the end of this year, so be sure to keep an eye out.